As our latest Fertility Road reader begins, founder Kim Sjoblad takes a few minutes to explain the network that sits behind her highly respected Fertility Glow programme. 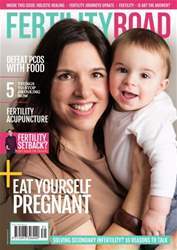 The specialisation of fertility-based medicine is rapidly expanding into nutritional and complementary medicine as a whole. When working so intimately at this level, it is critical to have a community of healers from all facets of medicine to help and assist one another in the treatment of one of the most sensitive issues in a couple’s life – the struggle with infertility. Diet and lifestyle are the most important factors in a person’s health. Both are directly related to our hormonal system, which affects reproductive health, so altering and adjusting these can be one of the keys to increasing fertility and maintaining a healthy pregnancy.